All products are custom made to order and priced as per specifications. For estimates, feel free to send us info on your next project at info@decorstudio.ca There is absolutely no obligations, we are happy to provide you with estimates! 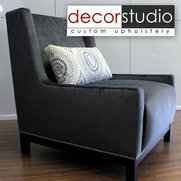 Decor Studios is a family owned and operated custom upholstery shop. 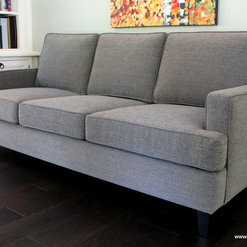 Offering quality custom residential and commercial upholstery. All products are Canadian made, created from start to finish in our shop. 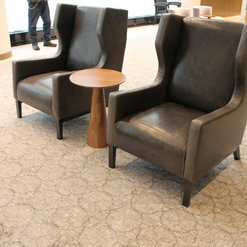 We use only high quality materials including wood, feathers, foams, fabric and leather. Our focus at all times is on superiority, comfort and luxury. Decor Studio proudly offers you the highest quality of custom-made furniture for all your commercial and residential needs. Our facilities are equipped with a full wood working shop, allowing us to offer you: custom upholstery, re-upholstery, restoration as well as refinishing and woodworking. It is our high standard of quality craftsmanship and customer satisfaction that has set our business apart from our competitors. Making beautiful custom upholstered furniture. Feel free to call or e-mail our office for an estimate. I entered Decor Studio after seeing a bed in the US that I couldn't get shipped here. Katy was so knowledgable and helpful that I couldn't help feel at ease in the process. Decor Studio stuck to their schedule and delivered the bed on time. It is BEAUTIFUL and the workmanship is top notch! I can't wait to move to our new home to actually place the bed in a room it deserves! Samantha, Thank you so much for your review. It was a pleasure to work with you on your project! All the best on your New Home! Starting with a clear strategy to take on the job, This company delivered outstanding customer service and had throughout a period of a month great energy to work with, at the end, delivered as promised, helped us with a clients project from start to finish and the final product was far beyond an excellent result. 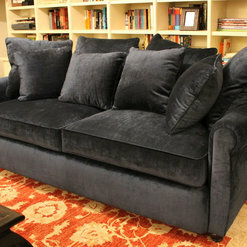 Decor Studio made us a custom king size leather bed with beautiful chesterfield tufting. They provided expert consultation from the conception of the bed design, including selecting a leather that met my budget, quality and color requirements. They sent me swatches and did not rush me through the selection process. Once the design was finalized they reconfirmed the measurements to the smallest detail with a professional drawing. My husband and I are so in love with our bed. Decor Studio gave as a quality luxury leather bed that surpasses anything that I have seen in speciality stores or onLine. 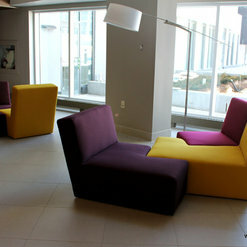 We look forward to working with them again on our next custom design piece of furniture. The cushion of my favorite chair was too soft for me. Decor Studio replaced the cushion with a very firm one which I wanted. They even helped with a board etc. They did a wonderful job. I would recommend them for any upholstery sort of work. Found them very professional, caring, friendly, out of their way helping, prompt and good work. Excellent. I have been very happy with all of the projects I have done with Decor Studio. The staff are wonderful to deal with and are always up for challenging projects. They are craftsman in what they do and take pride in the quality and service they provide. Thank you for your review! It was a pleasure to work with you on this project. One of our favorite sectionals by far! The absolute best :) All of my clients are very impressed when I bring them to Decor Studio! They finish everything on time and with a high attention to detail and level or professionalism.